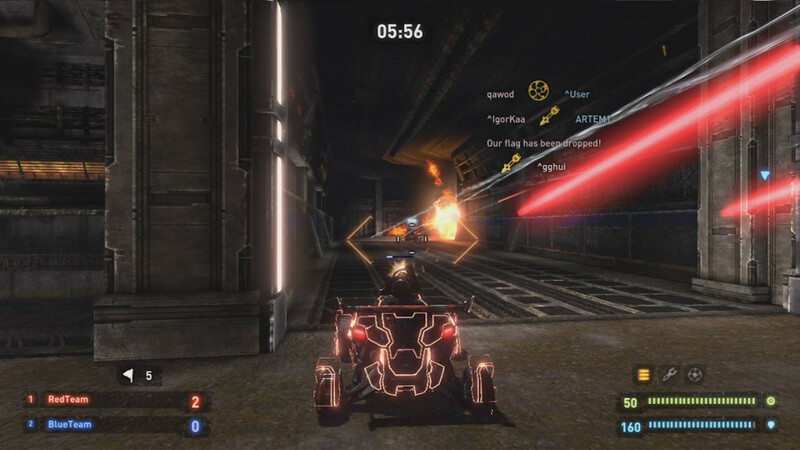 In the last months, there have been released several crash-smashing-survival car racing games. Wheels of Destruction is the newest addition to this genre, and it looked promissing. Wheels of Destruction gives you enought to play with for a downloadgame. 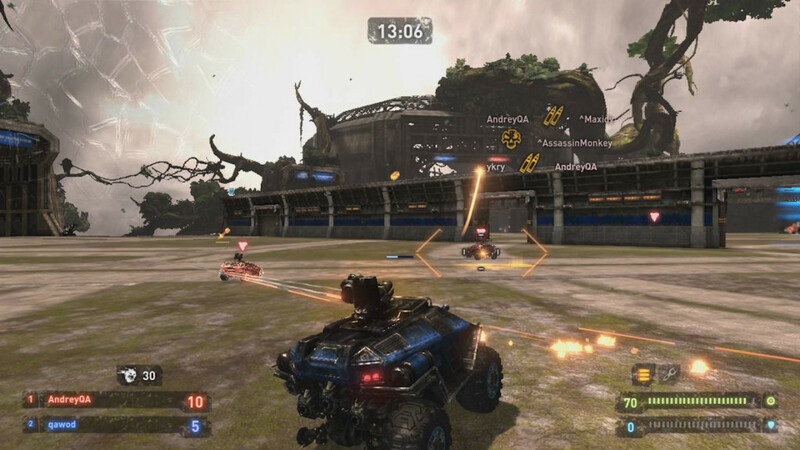 There are three different modes to choose from; Death Match, Team Death Match and Capture the Flag. All which can be played online or offline. Each of the modes can be mixed and match with the five cities/maps available; Paris, Seattle, London, Tokyo and Rome. But they could actually be a random city, since they doesn’t resemble the city they supposed to mimic. The graphics looks very good. Way better than Smash ‘N’ Survive I’ve reviewed earlier. It’s powered by the Unreal-engine and the loadingtimes are good. The controlling is really bad. You actually doesn’t controll the car, rather the gun on the cars roof. The car turns the way the gunfire point, but only after a short delay which – to me – makes it very hard to use. There are ‘alternative’ controlling schemes, but they only switch the brake/gas/fire. For me it would worked way better to have one of the analog-controllers to steer the car, and the other to move the gun. Wheels of Destruction could be a good game, but the bad car-controll makes me not want to play this game. The game is available for PS3 on Sony Entertainment Nework at €9.99/£7.99. Reviewcode provided by Freeform Communications.